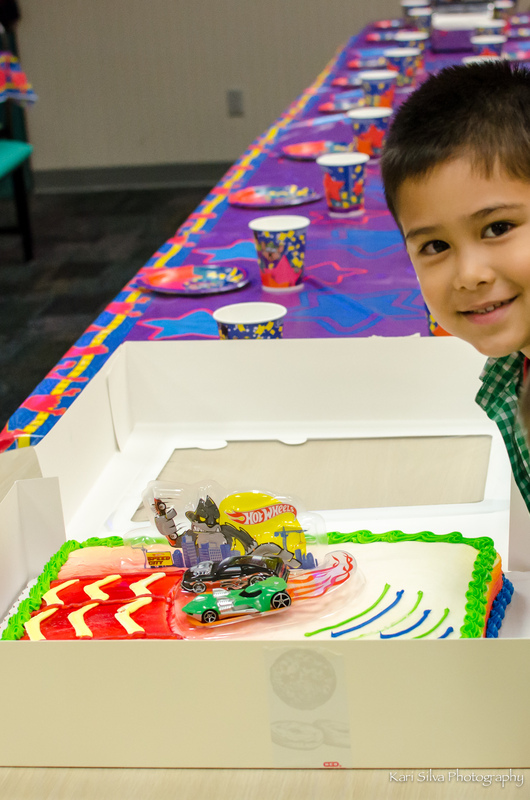 My nephew turned 6 this past Tuesday and we all celebrated at Chuck E. Cheese on the 17th. The kids all had such a good time, running around, playing games, following Chuck E. Cheese when he headed off for dancing and free tickets. It was not as painful as I remember going was when my own were young enough to go. Maybe it was more fun this time since I was not the “responsible parent in charge,” as I told my sister-in-law afterwards. 🙂 I had a good time following the birthday boy and his friends, as well as his younger brother, around the place seeing what games they really liked and what games they steered clear of. Watching them all form a train behind Chuck E. Cheese and follow him around the entire play area to an open area in the front where he led all the kids in a dance and then threw a tray full of tickets into the air for everyone to grab as many as they could was just as much fun for the adults as it was for the children! This entry was posted in Children, Everyday Photography, My Family and tagged birthday, Chuck E. Cheese, Family, party, People, photography, Photos, Plog, Texas. Bookmark the permalink.